No matter how your body shape, skin tone, diet or exercise plan is, over time our skin loses elasticity, collagen weakens and it becomes harder to lose certain pockets of fat. We also develop wrinkles, fine lines and have a genetic predisposition to cellulite, which becomes a common concern for both men and women. Not everyone has a weight loss goal–sometimes there is just a trouble spot somewhere that is not responding to all the hard work you are putting in at the gym. Perhaps you just have a little bit of loose skin following weight-loss or pregnancy. There might be a patch of cellulite you just want to go away, or maybe you are just looking to reward yourself and have a little pampering. We have collected the most innovative technologies to help with spot reduction and targeted inch loss, increase collagen production in the skin and aid in detoxification and body contouring. We offer a variety of solutions based on the result you are looking for. Not sure which to try first? Remember, we offer free consultations with our licensed Medical Aestheticians to help direct you on the right path for success. Email us today for your appointment! If you are interested in a comfortable, affordable treatment that provides superior results with no downtime continue reading. Finally, there is a non-invasive and pain free solution for you! This revolutionary treatment use Radio Frequency, Magnetic Pulse Therapy technology, which causes collagen synthesis, contraction, fibroblast, and lipolysis, to treat all of your concerns in one program. This non-surgical treatment is offered to you at a lower cost compare to the traditional surgical solutions. Yes. Please email us to book your complimentary consultation with one of our certified VENUS LEGACY™ technicians prior to scheduling any treatments. This is for your own protection and we cannot make exceptions. During your consultation we will address any concerns you might have. You are responsible for informing your technician of any medications or natural health products you are taking, and of any underlying medical conditions you have. These are critical details that we must consider when customizing your VENUS LEGACY™ treatments. We encourage you to ask all of your questions during your consultation so that we can address your concerns prior to beginning your treatment. It is important to us that you are well informed before you begin VENUS LEGACY™ treatments, and you feel comfortable with our luxury spa and your technician. Venus Legacy is a non-invasive treatment used for delivering remarkable clinical results on the body for skin tightening, cellulite, circumferential reduction and improvement with facial wrinkles. A hand-held device is used to send a combination of energies below the surface of the skin. These energies heats the underlying tissue, stimulating the body’s natural collagen production. In most cases, multiple treatments are needed to achieve desired results. 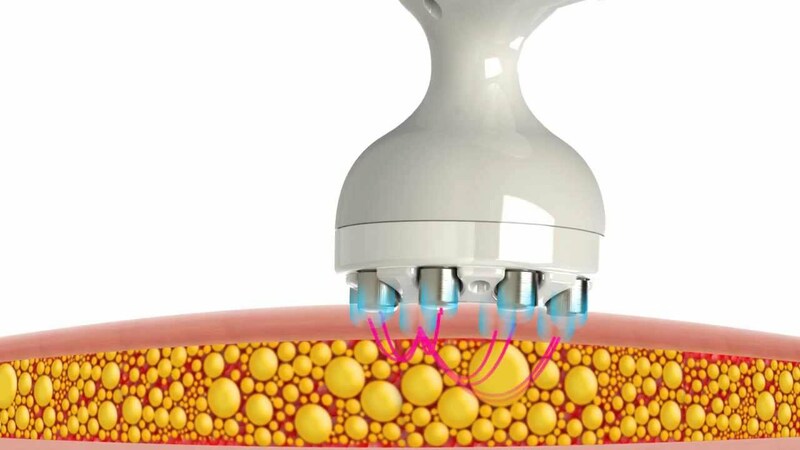 The Venus Legacy works by combining Multi-Polar Radio Frequency and Magnetic Pulsed Fields into one device, delivering the combined therapies safely and effectively to clients. Skin tightening, cellulite reduction and wrinkle reduction occur due to the thermal reaction the multi-polar radio frequency creates in the tissue, thereby stimulating the body’s own natural healing response. This healing response causes the formation of new collagen as well as the production of new elastin fibers. The new collagen contracts the skin resulting in a firmer look and feel, while the elastin fibers unravel to make the skin more supple and elastic. Most patients typically see results after the third treatment, however many have noted results even sooner. With FDA approval, Venus Legacy has documented itʼs results to last a minimum 18 months, but will continue to last on going if one session per quarter to half-year is maintained after series. The Venus Legacy treatments are for anyone feeling that their appearance could be improved by skin tightening, but does not want to undergo the knife. We have seen exceptional results for mothers looking to get rid of their post-pregnancy baby belly. For example, in the video's referenced on this page, clients have said that after pregnancy, their stomach just “wouldn’t go back to normal”. After just a few treatments the results were amazing. And according to the clients, the treatment “feels very nice”. If you are concerned about loose or sagging skin, cellulite or wrinkles. Why would I use Venus Legacy over another procedure? Only the Venus Legacy, and its former device Venus Freeze uses a multi-polar system combined with radio frequency, which gives it better depth, coverage area, and unbeatable results. The (MP) 2 component induces the proliferation of fibroblast, which in turn produce collagen, and the RF component creates a controlled thermal damage (thus "killing" the fat cells causing apoptosis), and initiates a wound-healing process that involves production of collagen. The result is a significant increase in collagen production. In general, we recommend a series of six to eight Venus Legacy treatments for the face, spaced apart at weekly intervals. For the body, we recommend six to ten treatments performed weekly. After your series, it is recommended to maintain your results, by having a single treatment four times a year, similar to maintaining Botox. Venus Legacy features the Sculpt Fx™ largest treatment area for faster coverage than any other standard hand-piece. Treatment times are up 4 times faster, hence you will spend between 25 minutes for a facial treatment and up to 30 minutes for a large area body treatment. You may have some temporary redness in the area, which usually resolves within an hour. You will want to be active after the procedure as the triglycerides are being released, as to not have them reabsorb back into the fat cell. You don’t necessarily need to exercise, as even mild movement will do, long as you just don’t go to sleep right away. What body parts can be treated with Venus Legacy? A non-surgical body contouring and skin tightening for the face, neck and body. As time passes, our body shows the natural, inevitable signs of aging – wrinkles, sagging, sun damage, etc. Venus Legacy means that you don't have to live with those effects anymore. Non-surgical procedures are available that allow you to have smooth lines and remove wrinkles, raise sunken areas, reduce blemishes and scarring, tighten sagging skin, treat spider and varicose veins, and generally produce fresh, glowing skin so you can look as young and rejuvenated as you feel. Tired of sagging, wrinkled skin? Want to improve your neckline and smooth away all those fine lines and wrinkles? Then consider facial contouring. This innovative treatment can turn back the clock and Serente offers the most revolutionary facial contouring services on the market. This treatment is recommended for those whose skin is starting to show some degree of laxity or “looseness”. Loose skin under the chin or neck, droopy eyelids and loose skin signal a potential great candidate for treatment. Typically, those in their thirties and older who have mild to moderate skin laxity are ideal candidates. Tired of sagging, wrinkled skin? Wish there was a procedure to eliminate that double chin? Want to improve your neckline and smooth away all those fine lines and wrinkles? Then consider facial contouring. This innovative treatment can turn back the clock and Serente offers the most revolutionary facial contouring services on the market. It is possible to reverse the chest wrinkles with the Venus Legacy. Serente tailors decolletage treatment so that it will reduce the appearance and feel of chest and neck lines and wrinkles. The effect is a deep one, correcting the damage years of sun exposure has done. This treatment penetrates deep into the skin targeting the region responsible for generating new collagen and reversing the causes the chest and neck wrinkles and lines. There may be no need for surgery if you're dealing with loose skin on your body-especially on your upper arms and around your knees Venus lagacy is a breakthrough in the science of fat reduction. It reduces stubborn fat bulges that are not easily reduced through diet and exercise. It’s a non-invasive procedure that is gentle and effective. 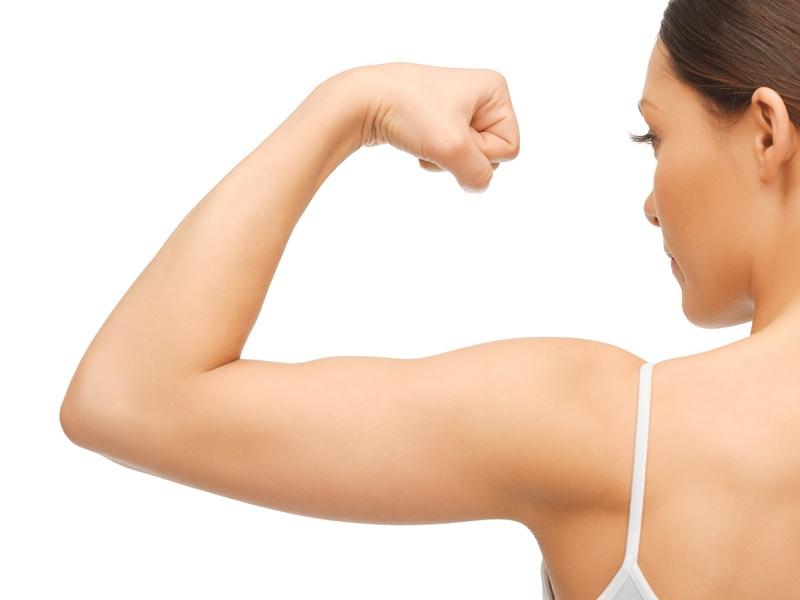 The effectivness of the device's use as a noninvasive skin tightener is good news for those considering surgical arm lifts, which are invasive and tend to leave fairly large scars-from the elbow to up, and under, the arm. Dreaming of slimmer hips and thighs? A firmer waist? Now you can have them. Serente offers the most innovative body contouring procedures available. The Venus Legacy body contouring has swept the nation with this amazing ability to firm, shape and lift problem areas. Wishing you had slimmer hips and thighs? A firmer waist? Now you can have them all. Serente Spa offers the most innovative body contouring procedures available. The Venus Legacy body contouring has swept the nation with this amazing ability to firm, shape and lift problem areas. Now this revolutionary technology can be experienced today.